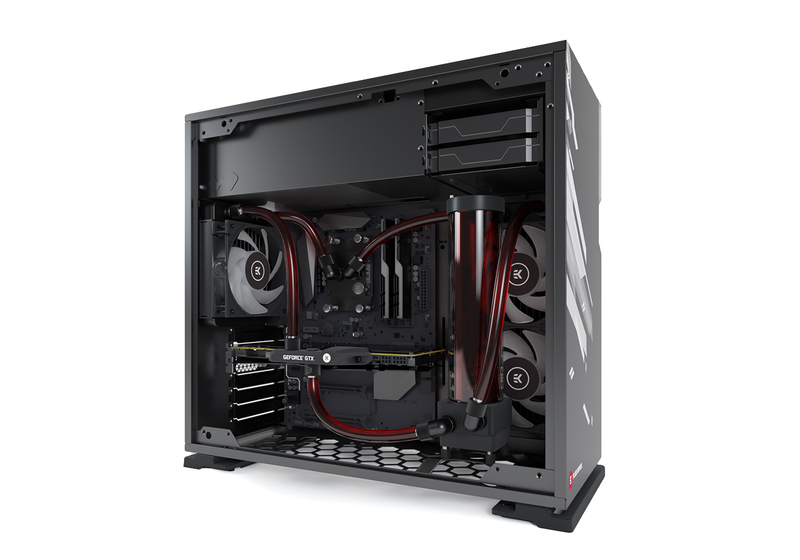 EK® is releasing pre-built fully liquid cooled Gaming PCs! EK® Water Blocks, the Slovenia-based premium computer liquid cooling gear manufacturer, is proud to announce the launching of pre-built fully liquid cooled Gaming PCs under the name of EK® Fluid Gaming Systems! As most of our customers are passionate gamers, it seemed that providing plug-and-play liquid cooled PCs is the next logical step. Not everyone has the time and will to fiddle around with choosing hardware parts, liquid cooling parts and putting it all together, so now EK® can offer finished plug-and-play products. Also, with the current GPUs crisis going on, we are allocating GPUs for PCs to be used for gaming! If you are not impressed by our to default offer of PCs, you can fully configure your gaming rig. Each of the offered configurations is a base for your dream PC to come true. You can pick each core component for your perfect gaming PC which will suit your needs. That’s right! You can pick a motherboard, graphics card, RAM, power supply, SSD, HDD or both. A large variety of components is available, including the newly released 2nd generation of AMD® Ryzen processors. If you like pimping your ultimate gaming PC even more, you can pick an awesome CableMod Pro series sleeved cable kit as well! 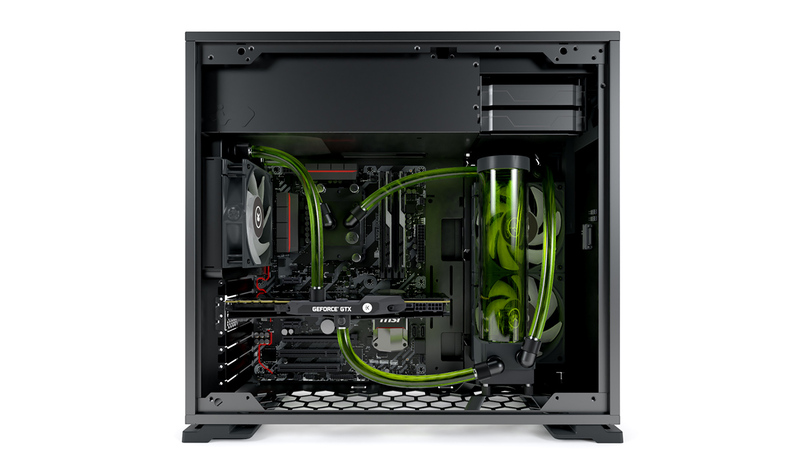 EK® Fluid Gaming Systems are pre-built, but they are not dull. You can choose from pre-built custom made, custom painted PCs, but you can also customize your gaming rig by choosing from various coolant colors and fitting colors. Each PC is built from a selection of carefully chosen hardware parts. We have teamed up with some of the best brands in the world in order to offer you the best possible gaming PC for your buck. A full range of pre-installed liquid cooling parts allows the PC to breathe with full lungs and run your games at maximum possible settings and FPS! 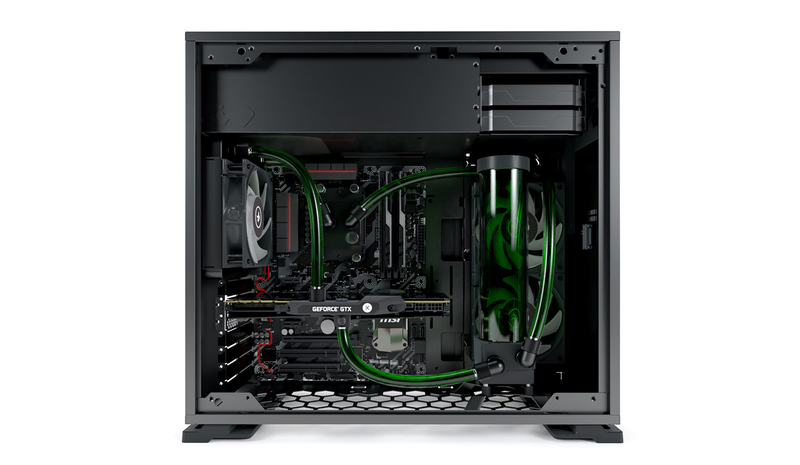 It’s common knowledge that liquid cooling is several times more effective compared to traditional air cooling. Radiators have densely stacked fins that are combined to create a much larger cooling surface where a low-speed fan can effectively dissipate heat. Heat is transported away from the source to a radiator and directly exhausted from the case. You can enjoy some quality gaming without any annoying noises roaring out of your PC! Adequate cooling also nullifies thermal throttling and allows you to exploit additional performance out of your EK Fluid Gaming system. Overclocking raises the stock frequency which gives your hardware more computing power. Liquid cooling is the only solution that can keep your overclocked hardware under control without the risk of overheating. EK® Fluid Gaming Systems are available for pre-order through the EK® Fluid Gaming web page and will start shipping in the first week of May 2018. 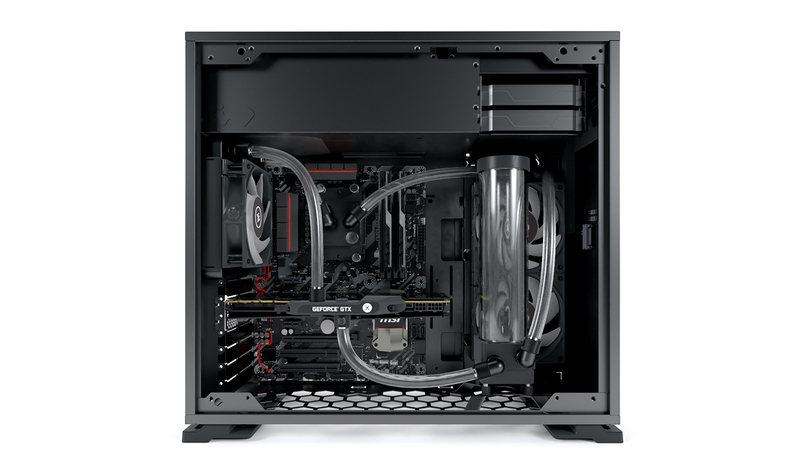 For the time being, shipping for EK® Fluid Gaming Systems is available only on the territory of the US. The basic fully liquid cooled EK® Fluid Gaming System PC starts selling from 2099.99$ and is fully configurable. EXPLORE EK® FLUID GAMING SYSTEMS NOW! All EK® Fluid Gaming Systems are built with high-grade aluminum based EK® Fluid Gaming custom liquid cooling parts. Each EK® Fluid Gaming System assembled in the US by a professional PC builder who oversees the build process from start to end. All hardware parts, such as the processor, graphics card, RAM, storage, and PSU are stress tested before the PC is wrapped up in extra safe protective packaging. 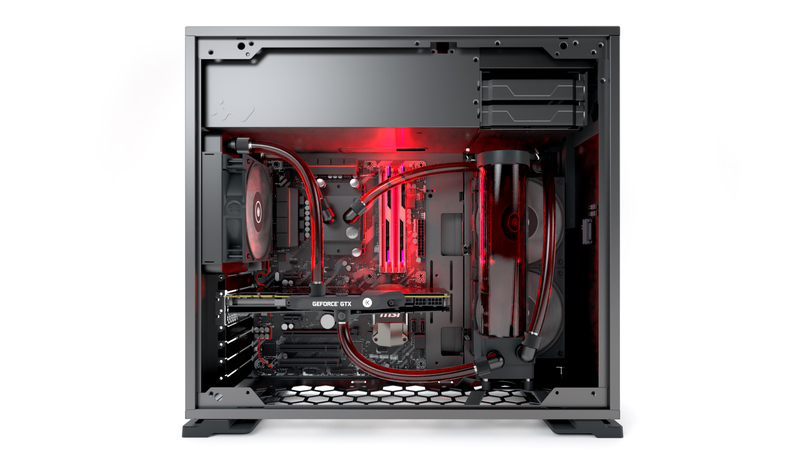 EK® will continue adding new hardware, case and liquid cooling options in the future. EK® will be adding new case, hardware and cooling options in the near future so keep an eye out for our updates!